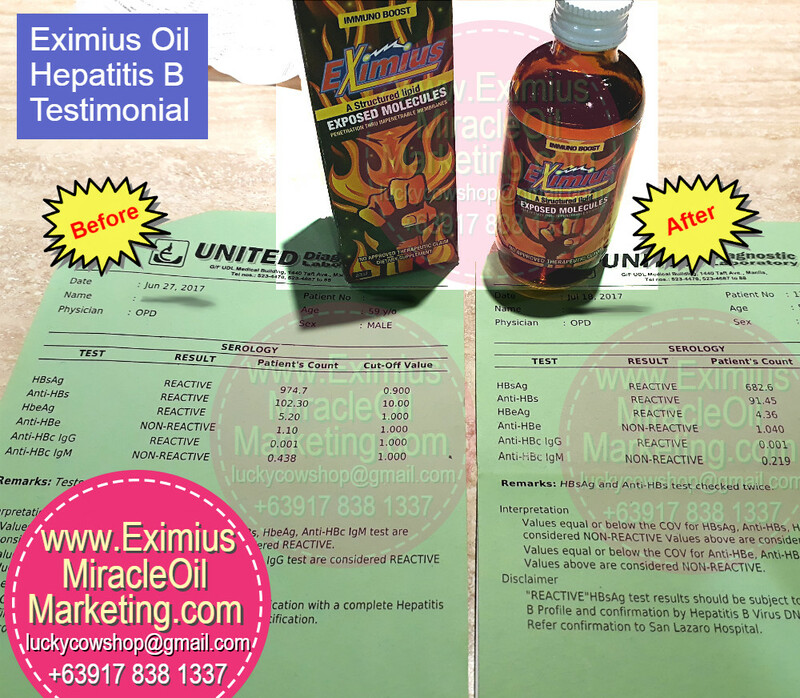 We got an update on the Eximius Oil Hepatitis B testimonial. He allowed me to take photo shots of the results of his laboratory tests. Before, his HBsAg count is really. 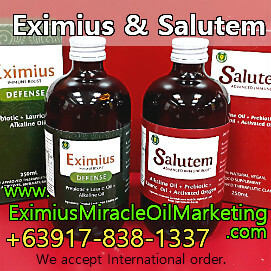 After taking Eximius Oil, Hepatitis B count HBsAg drops down from 974.7 to 682.6! Although the result is still reactive, we can see a big difference in the count. He's so happy with the result! He's doing some "experimenting" on Salutem Oil to know if the drop would be bigger. He said, "There is hope!" Do you know anyone who has Hepatitis? Do share this post to them or my contact information.